– Small dimensions without the compromise of power. – Covers all types of floors – rugs, carpets, tiles, wood. – Root Technology which impressively spins the air, dust and hair to a majestic 178 mph. – Dual channel floor tool for helping remove stubborn dust particles from carpets and rugs. A stair tool is also included. – No other costs – no need to replace dust bags and filters (which can cost hundreds over the years). – Transparent bin, so you can see when it requires emptying. – The British Allergy Foundation and 11 other allergy associations across the globe approve this product. – Adjustable lengthy wand for those out of reach places. – Bagless, so with only one button to press, this Dyson’s bin can be emptied with ease and the filters need washing now and then. – Did you know that dust is made up of pollen, dust mites, dust mites faeces, fungus and food particles? Great, well good job the Dyson has super strength suction to rid your home of these nasty, unwanted items! – Easy to store away due to it’s minute size and lightweight enough to carry around the home/office. – 5 year guarantee (UK only). – Great size for smaller homes. – Well constructed/designed and pleasing on the eye. – Floor tool is easy to use and gets through tight squeezes. – Some customers have found the length of power cable to be short. – Hose is a little stiff. 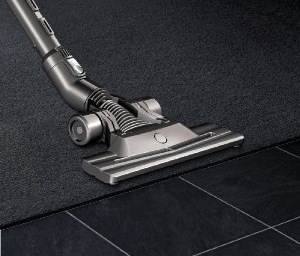 How does the Dyson DC26 compare to other lightweight vacuum cleaners? The Dyson DC26 is REALLY light! 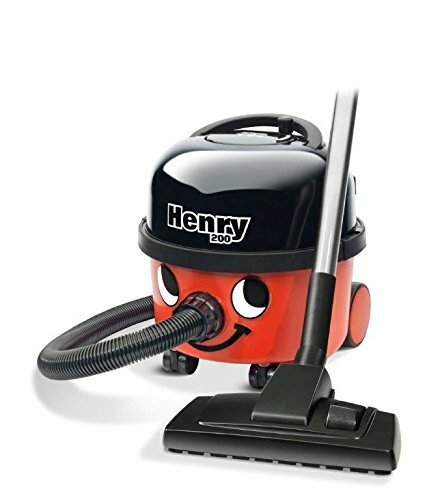 Lighter than any upright or cylinder vacuum cleaner I’ve used. The bin is so easy to empty, you just snap it out of place, empty and snap back in. I received my DC26 yesterday. Beautiful product! and im loving the lighter feel. 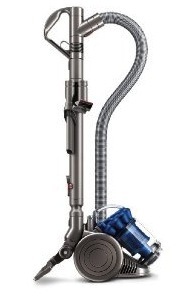 Dyson do better models than this one.